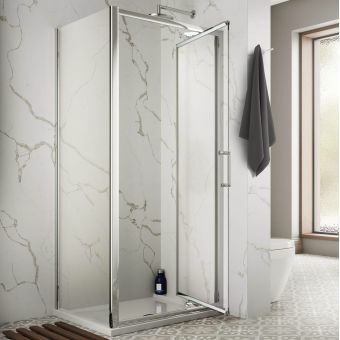 The Roman Lumin8 Pivot Corner Shower Enclosure is an outstanding example of contemporary elegance and balanced proportions. 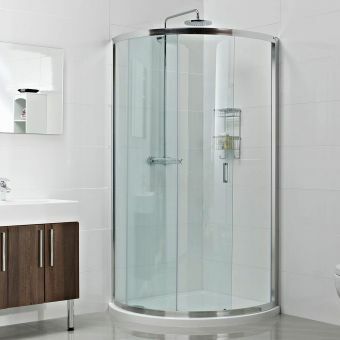 Built for optimum comfort and efficiency, the framed design has never gone out of fashion and continues to be a best seller. 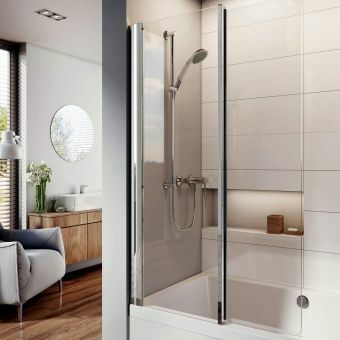 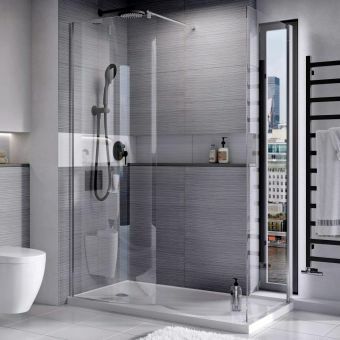 Constructed from polished silver-coated fittings and wall profiles it lets light in from all directions thanks to its additional side panel creating a cool, modern area to shower. 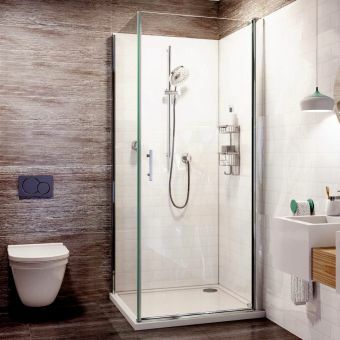 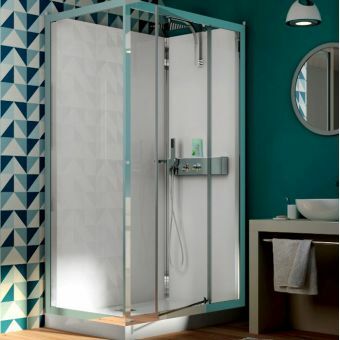 20 unique sizes can be constructed using the four pivot door sizes and the five side panels meaning you can integrate perfectly with the rest of the bathroom and find one to fit your own personal preferences. 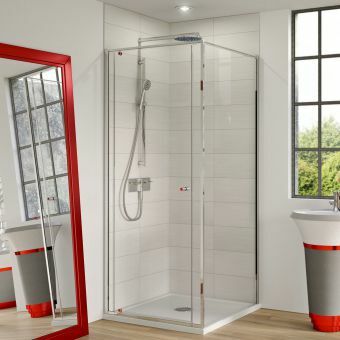 The clear coated glass is 8mm thick and covered in Romans world-class Ultra Care glass treatment to minimise cleaning and limescale deposits. 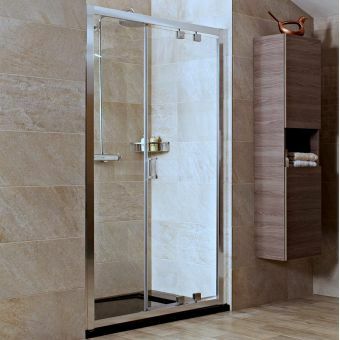 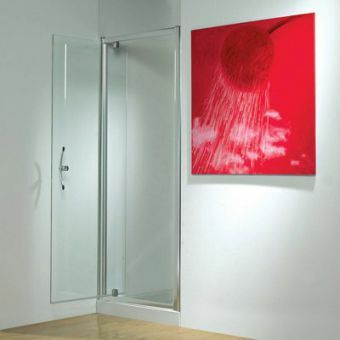 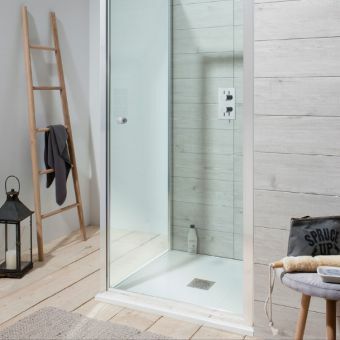 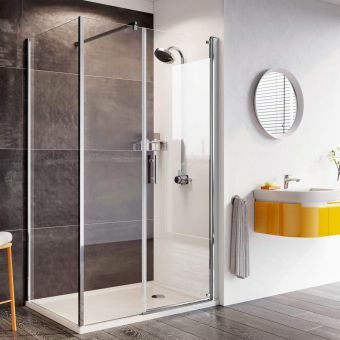 The swing-open design of the pivot door is a boon for smaller bathrooms and is are engineered for durability and designed to perform beautifully.